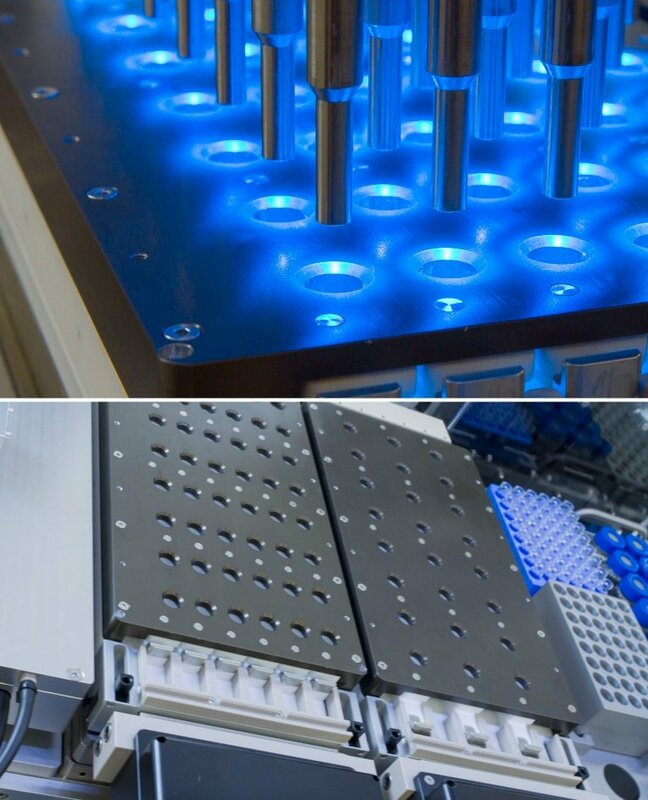 Fully integrated and automated reactor arrays for parallel or combinatorial library synthesis, allowing for a vast range of synthetic manipulations even under inert atmosphere or pressure compliant with our proprietary overhead gravimetric dispensing of solids, liquids, viscous liquids, pastes, and waxes directly into the reactors / vials. For highly demanding synthetic processes, process parameter evaluation / optimization (proven acceptable ranges) and scale-up – individually controlled & operated tank reactors compliant with our proprietary overhead gravimetric dispensing of solids, liquids, viscous liquids, pastes, and waxes, directly into the reactors. 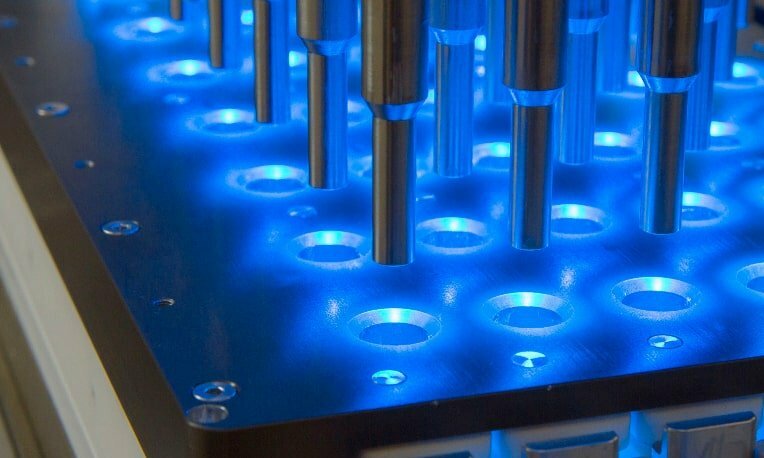 Up to 36 quality-by-design reactors simulating 3-5 liter reactors can be integrated on one platform. 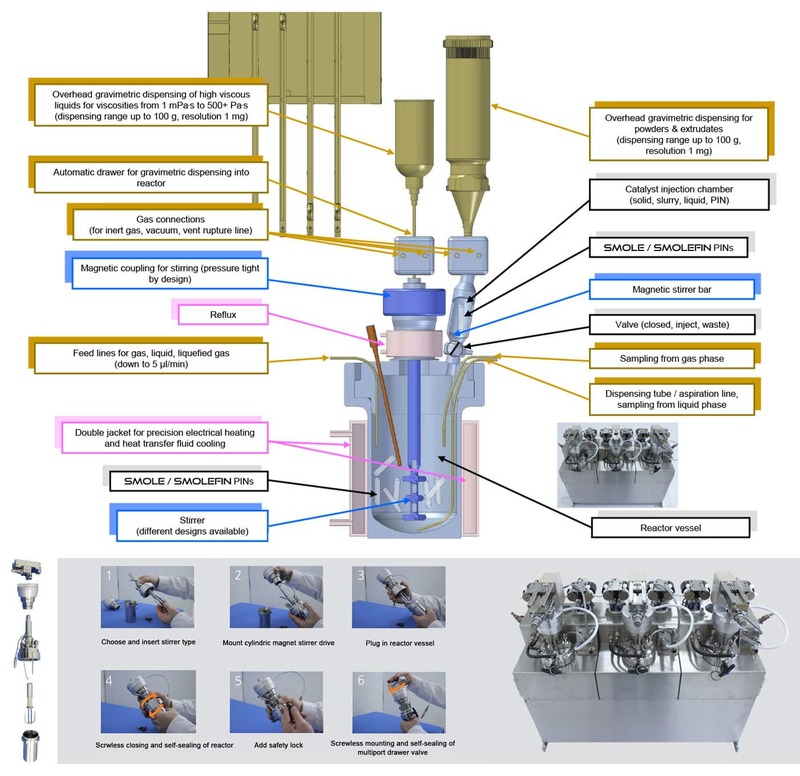 For virtually unrestricted formulation methodologies in order to investigate both the raw material and the parameter space – individually controlled & operated formulation reactors/blenders compliant with our proprietary overhead gravimetric dispensing of solids, liquids, viscous liquids, pastes, waxes directly into the blenders. 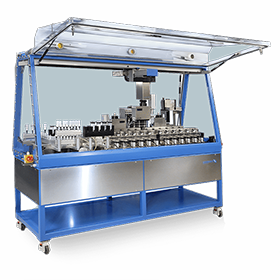 Up to 36 blenders can be integrated on one platform. 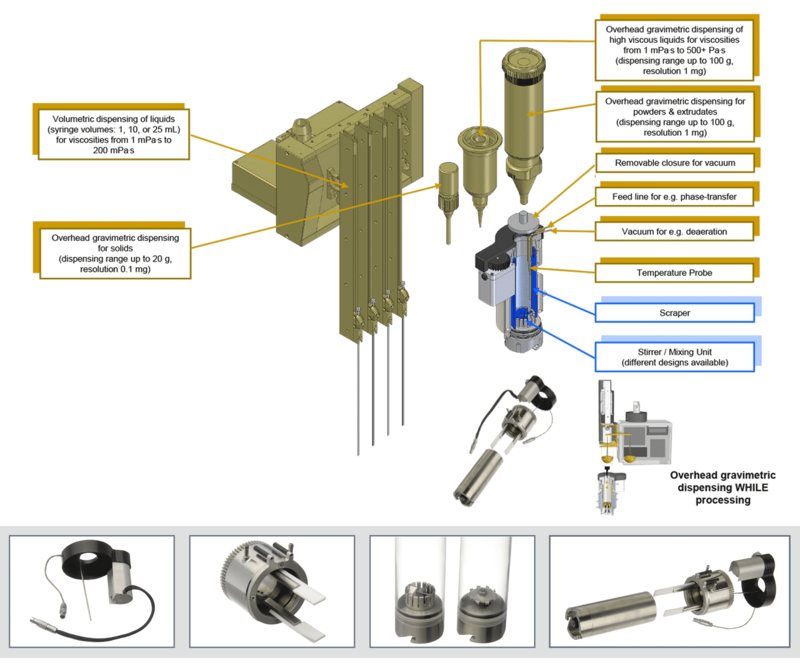 A range of different crimp-neck and screw cap sample vials and reactors is available for a vast range of purposes, compliant with its proprietary overhead gravimetric dispensing of solids, liquids, viscous liquids, pastes, and waxes, directly into the blenders. 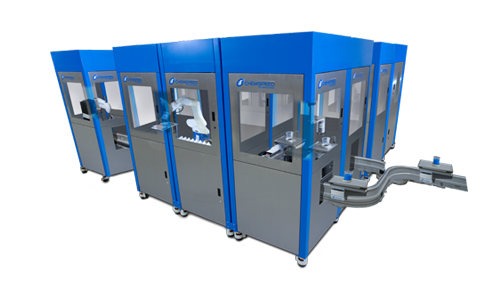 Many procedures, such as evaporation of solvents or filtration/extraction can be performed via the integration of designated robotic tools. Numerous racks for all kinds of purposes are available. Thanks to the modular concept, virtually any combination is possible on one platform. Even customized racks are easily integrated. 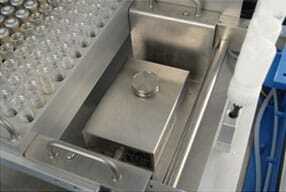 The weighing module consists of an analytical balance with a designated vial holder. 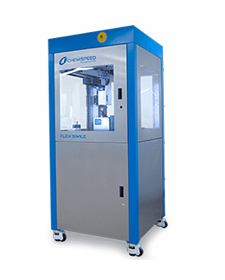 Vials can be transported with a designated tool to the weighing module, allowing for the weight determination of solid and liquid dispenses. Two different balances are available, differing with respect to the maximum capacity. 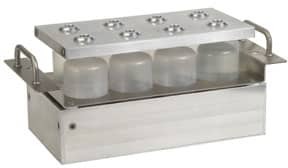 The heat/ stir rack houses four 250 ml bottles and four 100 ml bottles, and is equipped with eight magnetic stirrers, a double jacket and a reflux device. It is dedicated e.g. for the preparation of low viscous premixes or for the storage of slurry and dispersions. 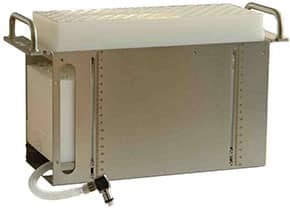 The filtration rack allows for the separation of solids from liquids and depending on the configuration, either can be collected. 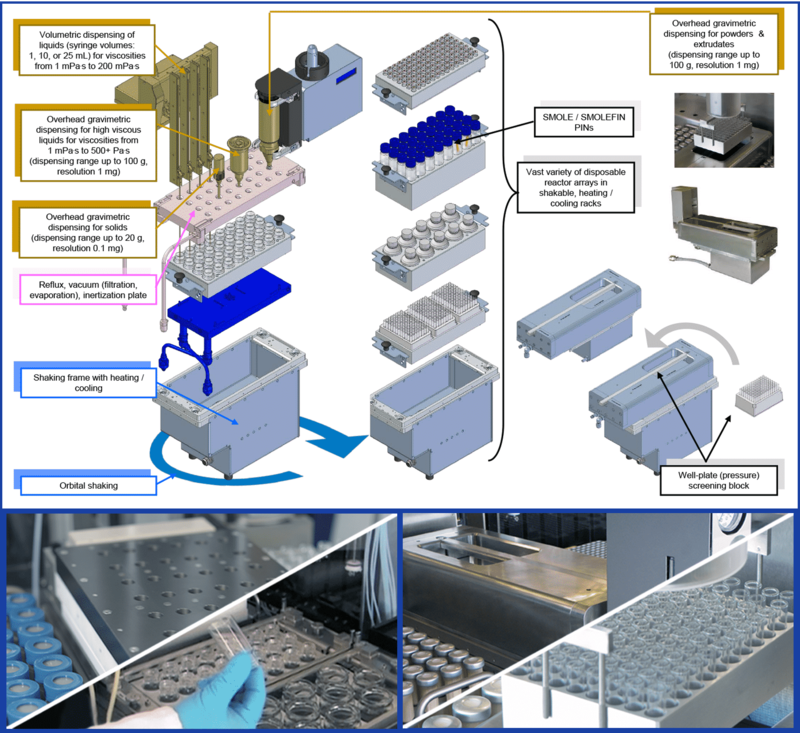 The filtration is performed in disposable cartridges with up to 96 filtrations possible per rack.